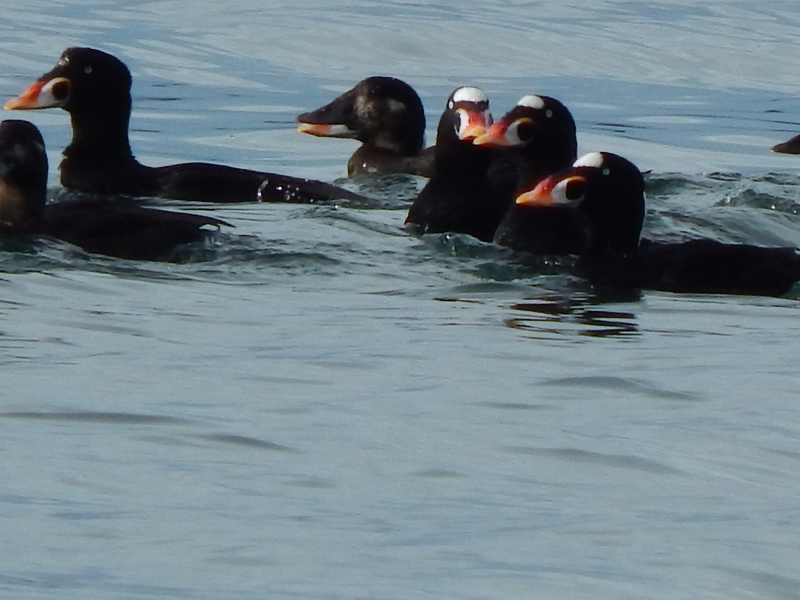 Surf Scoters come down into Puget Sound as part of their winter time migration. I spotted this flock off of Ocean View in West Seattle. What I really enjoyed watching was how they are like water dancers dipping into the waves and then bobbing back up. 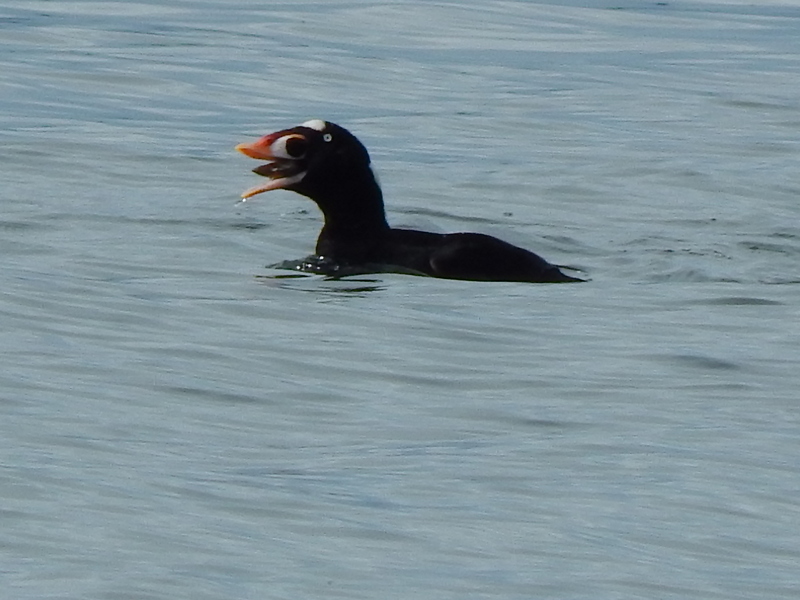 A bird follies extravaganza for the shore bound. This short video has just that sequence. First watch how they pop back up like corks, then drifting together before diving back in one after another. They were doing some rather successful fishing. 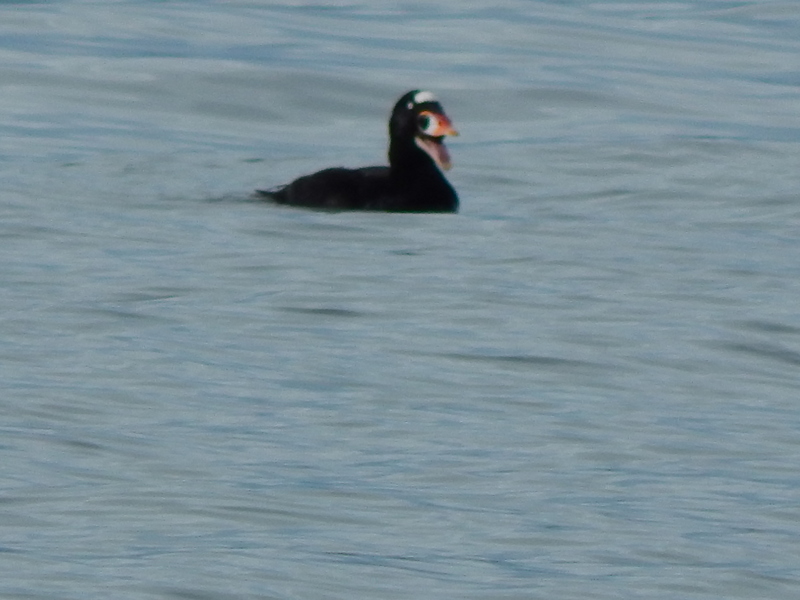 For those not familiar with these sea ducks, the male is the one with the painted face. 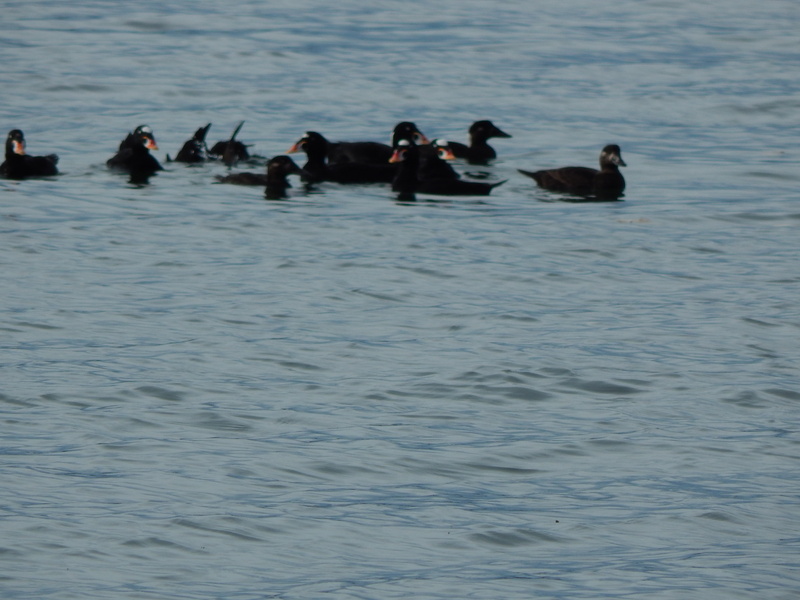 The ladies are much more discreet in their shades of brown and black. 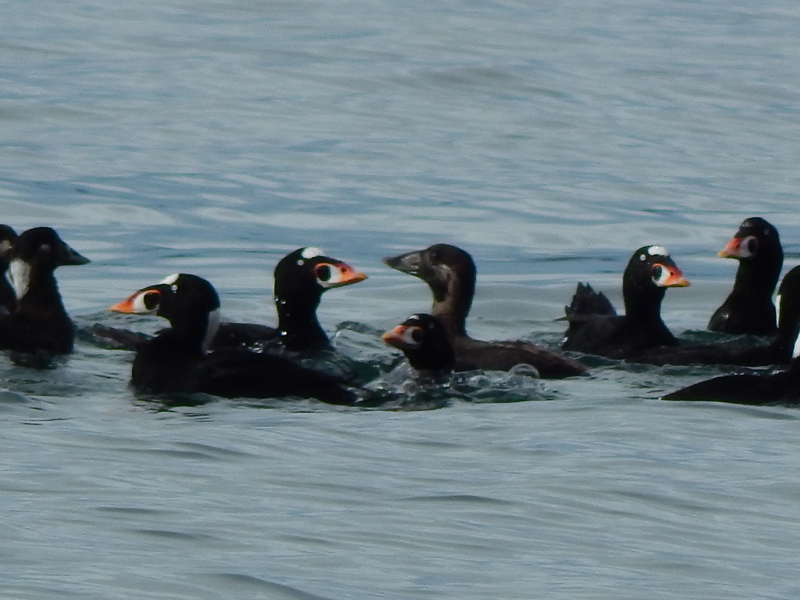 Youngsters look like the female but have white on the belly. This flock has a bit of all ages and sexes for you to view. I really liked these three amigos hanging out together. They made for a good photo-op! 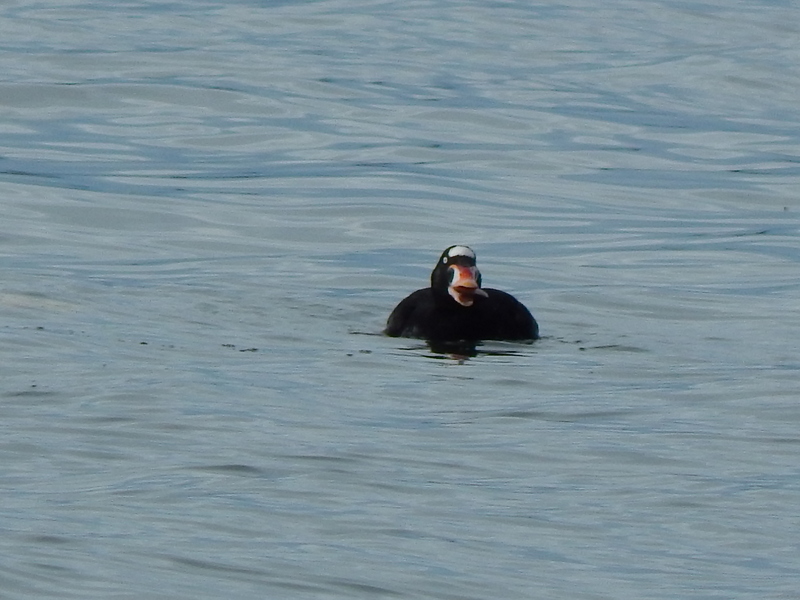 One last shot for you….Fishing is serious business and this guy has a nice juicy treat.